ARRANGE the PHILLY onto a serving platter then drizzle over the beetroot relish. Top with the chopped mint then sprinkle over the dukkah. Serve with pita crisps, crackers and antipasto. Serve Immediately. Enjoy it! 1. Mix all ingredients except tomatoes until well blended. Stir in tomatoes. 2. Serve with Christie Crackers and cut-up fresh vegetables. 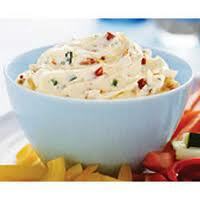 Enjoy the philadephia cream cheese dip ! Melt butter in large skillet on medium-high heat. Add apples; cook 5 to 7 min. or until golden brown, stirring occasionally. Meanwhile, beat cream cheese spread, eggs and vanilla in large bowl with whisk until well blended. Gradually whisk in milk. Reserve 1 Tbsp. syrup; stir remaining syrup into cream cheese mixture. Add bread cubes; stir to evenly coat. Add apples to bread mixture; mix lightly. Pour into 9-inch square baking dish sprayed with cooking spray. Bake 40 min. 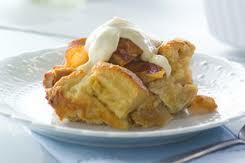 or until pudding is set in centre and top is golden brown. Drizzle with reserved syrup. Let stand 10 min. before serving. Serve with Whipped Maple PHILLY Dip. 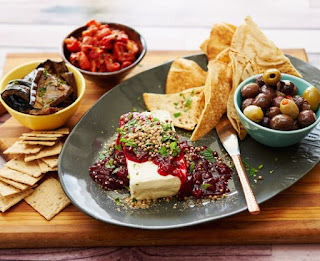 PHILADELPHIA Mediterranean Dip ...a great Philadelphia cream cheese recipe to try ! 1. Mix cream cheese spread and sour cream in medium bowl until well blended. 2. Add remaining ingredients; mix well. 3. Serve with assorted Christie Crackers or cut-up fresh vegetables. The Philadelphia cream cheese recipe is ready to serve....enjoy ! 1. 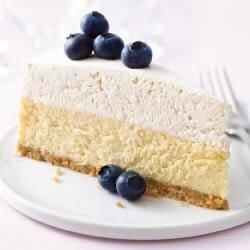 Cut cream cheese into 32 pieces; place in shallow dish. 3. Pour dressing mixture over cream cheese. Refrigerate 1 hour. Heat oil in large nonstick skillet on medium heat. Add chicken; cook 6 to 8 min. on each side or until done (170ºF). Transfer to plate; cover to keep warm. Add cream cheese spread to skillet; cook on medium heat 5 min. or until melted, stirring constantly. Whisk in broth and pesto; cook and stir 2 to 3 min. or until sauce is thickened and well blended. Pour over chicken..enjoy it !